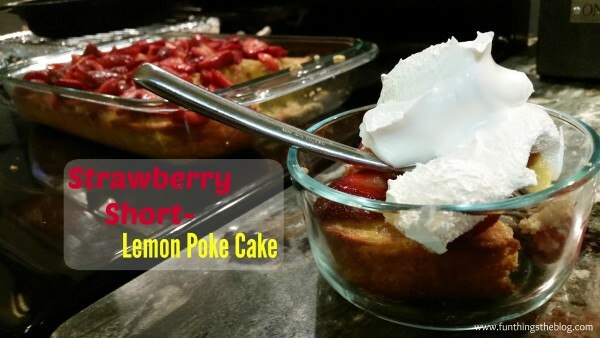 Strawberry Short-Lemon Poke Cake Mash-Up… now, say that fast 3 times in a row! That is a mouthful on several different levels! It is strawberry time here and fresh strawberries are just so tasty- you can just about taste the sun. So, I took myself right on down to the farmer’s market and got about a gallon or so of fresh strawberries picked only hours before I bought them. In the back of my head, I knew I wanted to get some fresh strawberries because I am thinking that strawberry pepper jelly this summer, when the hot peppers come in, would be so tasty. I wanted to get some strawberries to freeze for that purpose. 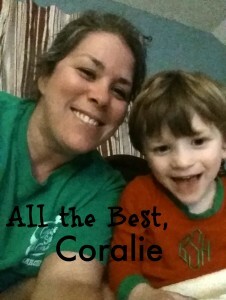 So stay tuned for that later in the summer. But, also- my dear friend Claire has this signature dessert- she does this strawberry shortcake that is just to die for. So, I decided with all the fresh strawberries I would do a version of her cake- as best I could remember the recipe. 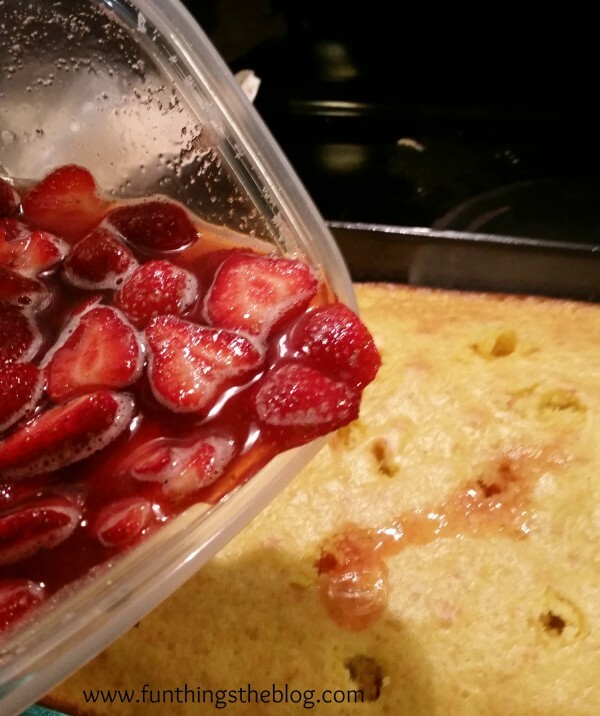 I just happened to have a lemon cake mix on hand and thought that the lemon would be a great compliment to the strawberries. 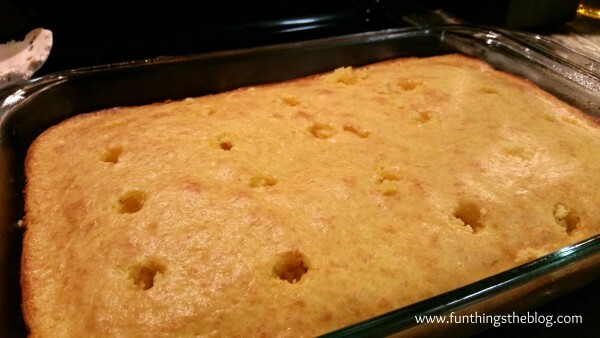 I knew Claire would cook a cake and then poked holes in it. So, that’s what I did. And I believe Claire puts an instant pudding mix in the batter too- not mixed up, just added to the cake mix. Initially I thought I had one but I didn’t so, I skipped this step. While the cake was cooking (according to package directions) I sliced some strawberries- maybe a little more than a quart and then covered them in about 1/4 cup of white sugar. I put them in the fridge to let me make strawberry sugar water while the cake cooked. 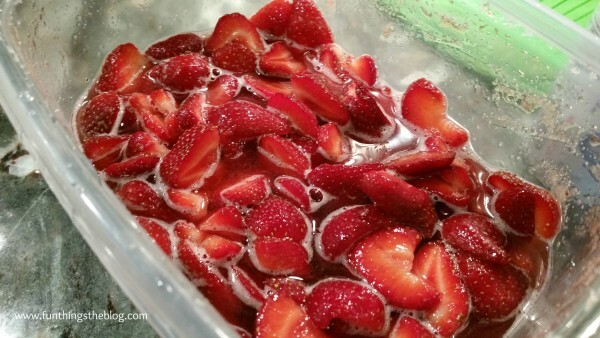 When the cake came out of the oven, I used a wooden spoon handle to poke holes all in it, then I got the strawberries out of the fridge and decided I needed just a little more liquid, so I added about 1/4 cup of water. And I poured the strawberry juice down in in the holes I poked. 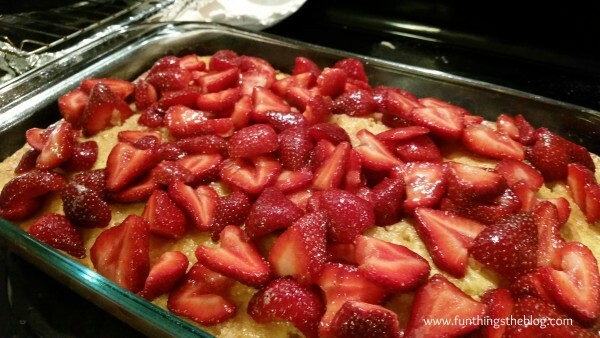 Next, I just poured the strawberries on top of the cake. Now, I can’t exactly remember if Claire pours the strawberries directly on the cake or if she puts cool whip directly on the cake and the strawberries on top of the cool whip. I decided to just stop here and add cool whip to each piece. Let me tell you, this is a winner! This is a wonderful summer time dessert- enjoy!